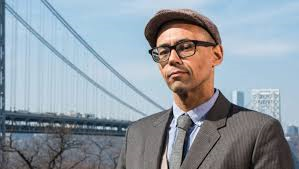 Victor LaValle, Reading on Tuesday, March 5th at 6pm at Burns Belfry. 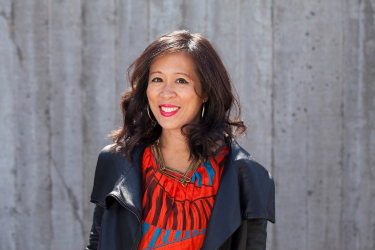 Lisa Ko, Reading on Wednesday, April 3rd at 6pm at Burns Belfry. Saddiq Dzukogi and Romeo Oriogun on Monday, April 8th at 7 pm at the Depot. Saddiq Dzukogi is the author of Inside the Flower Room, a selection of the African Poetry Book Fund for its New Generation African Poets Chapbook series. His recent poems are forthcoming in Kenyon Review, Gulf Coast, Spillway, Salt Hill, Crab Orchard Review, and elsewhere, while others have appeared in Prairie Schooner, New Orleans Review, South Dakota Review, Best American Experimental Writing, and Verse Daily. He was on the 2017 Brunel International African Poetry Prize shortlist and a fellow of the Ebedi International Writers Residency. 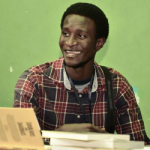 Saddiq is a three times finalist in the Association of Nigerian Poetry Prize. 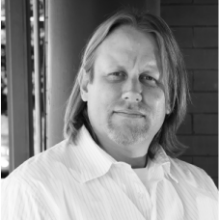 He is currently a PhD student in the University of Nebraska Creative Writing Program where he is a recipient of the Othmer fellowship. 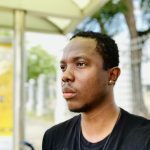 Romeo Oriogun is the author of the chapbooks “Burnt Men” (Praxis) and “The Origin of Butterflies” (APBF and Akashic Books) and he is also the winner of the 2017 Brunel International African Prize for Poetry. His manuscript “My Body Is No Miracle” was shortlisted for the 2017 Sillerman First Book Prize for African Poets. He is currently an IIE- Artist Protection Fund Fellow, a W.E.B. DuBois Research Institute Fellow, and the Harvard Scholars at Risk Fellow for Spring 2019. Mary Ruefle, Reading on Tuesday, September 25th at 6 pm at Burns Belfry. Mary Ruefle, Craft talk on Wednesday, September 26th at 7 pm at the Depot. Ruefle has published many books of poetry, including My Private Property, Trances of the Blast, The Adamant, winner of the 1988 Iowa Poetry Prize, and her book of erasures, A Little White Shadow. She is also the author of a book of collected lectures, Madness, Rack, and Honey; a book of prose, The Most of It; and a comic book, Go Home and Go To Bed. She has received fellowships from the National Endowment for the Arts and the Guggenheim Foundation, as well as a Whiting Writers’ Award, and an Award in Literature from the American Academy of Arts and Letters. Her work has been anthologized in Best American Poetry, Great American Prose Poems, American Alphabets: 25 Contemporary Poets, and The Next American Essay. Ruefle has taught at Vermont College and the University of Iowa Writers’ Workshop. She lives in Vermont. Seth Tucker, Tuesday, October 23rd at 7 pm in the Hannah-Ford Room for Writers in Bondurant Hall. Maggie Smith and Catherine Pierce, Tuesday, September 19th at 7pm in the Depot. Maggie Smith is the author of three books of poetry: Good Bones (Tupelo Press, September 2017); The Well Speaks of Its Own Poison (Tupelo Press, 2015); and Lamp of the Body (Red Hen Press, 2005). Smith is also the author of three prizewinning chapbooks. Her poems appear in Best American Poetry, the New York Times, The Paris Review, Ploughshares, The Gettysburg Review, Guernica, Plume, AGNI, Virginia Quarterly Review, and elsewhere. Catherine Pierce is the author of three books of poems: The Tornado Is the World (Saturnalia 2016), The Girls of Peculiar (Saturnalia 2012), and Famous Last Words (Saturnalia 2008), winner of the Saturnalia Books Poetry Prize. Both The Tornado Is the World and The Girls of Peculiar won the Mississippi Institute of Arts and Letters Poetry Prize. She lives in Starkville, Mississippi, where she is an associate professor and co-director of the creative writing program at Mississippi State University. We also bring in agents and editors to conference with our students. 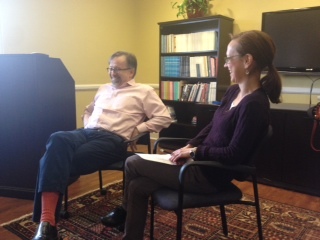 Thank you to Dan Conaway of The Writer’s House in NYC, pictured here being interviewed by one of his writers, Megan Abbot, about how writers and agents work together. Previous years we welcomed Lisa Gallagher of Sanford J. Greenburg and Stella Connell of the Stella Connell Agency.